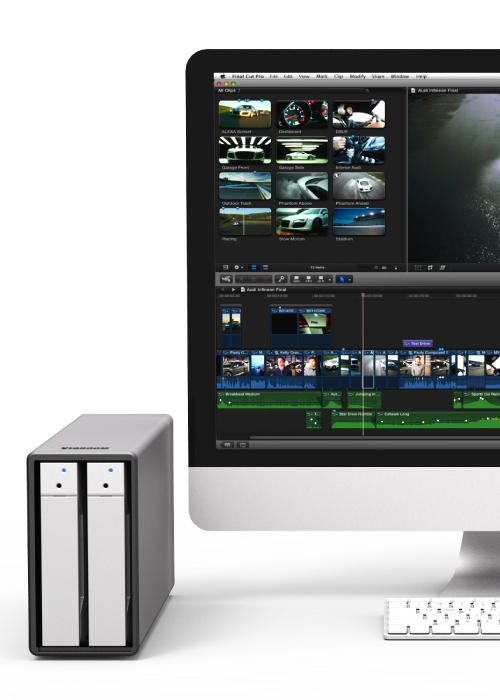 Thunderbolt 2 technology in ST2-TB is phenomenally fast. 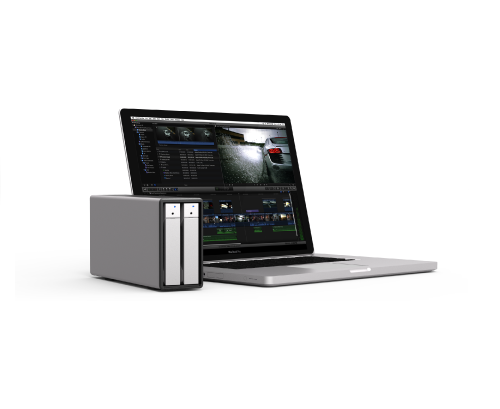 The two Thunderbolt 2 ports on ST2-TB features dual 20-Gbps channels for data transfer and that’s up to four times faster than USB 3.0. 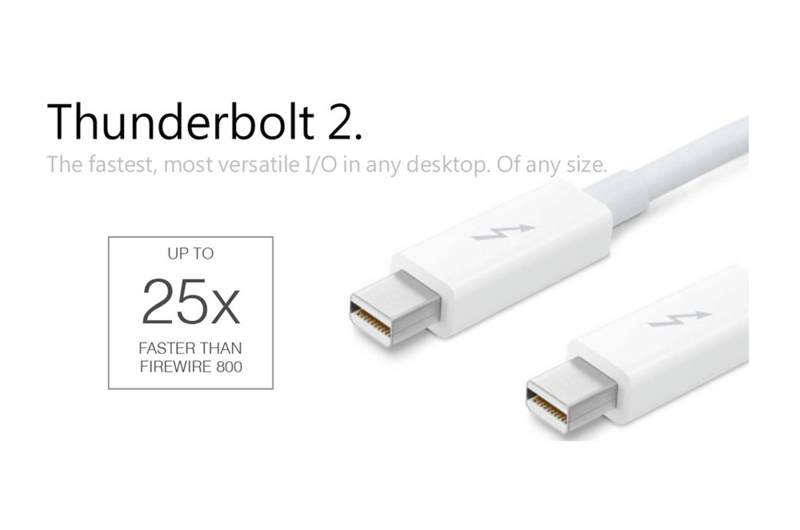 But beyond speed, Thunderbolt gives you unprecedented expansion capabilities. 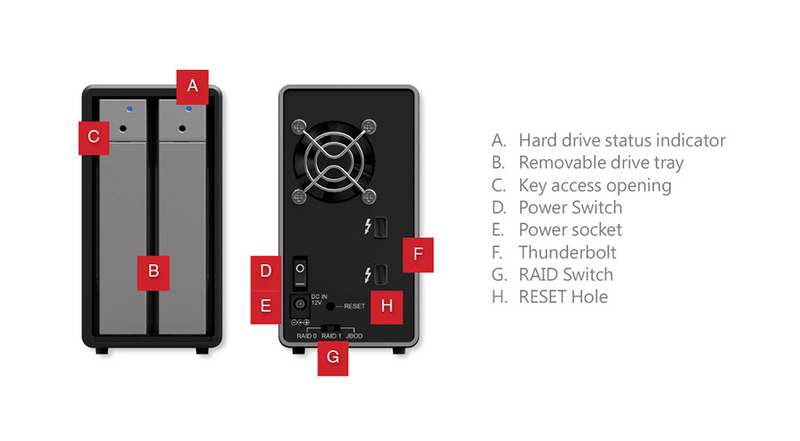 You can daisy-chain as many as six Thunderbolt devices to a single port. 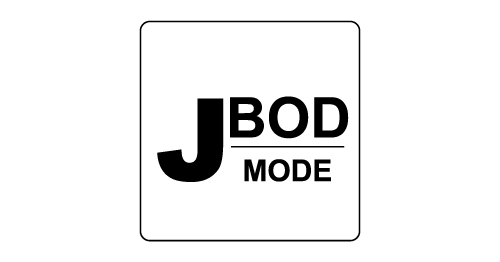 The ST2-TB built-in with three configuration modes: RAID 1 (Safe Mode), RAID 0 (Speed Mode), and JBOD (Two Independent Volumes) for you to choose according to your needs. 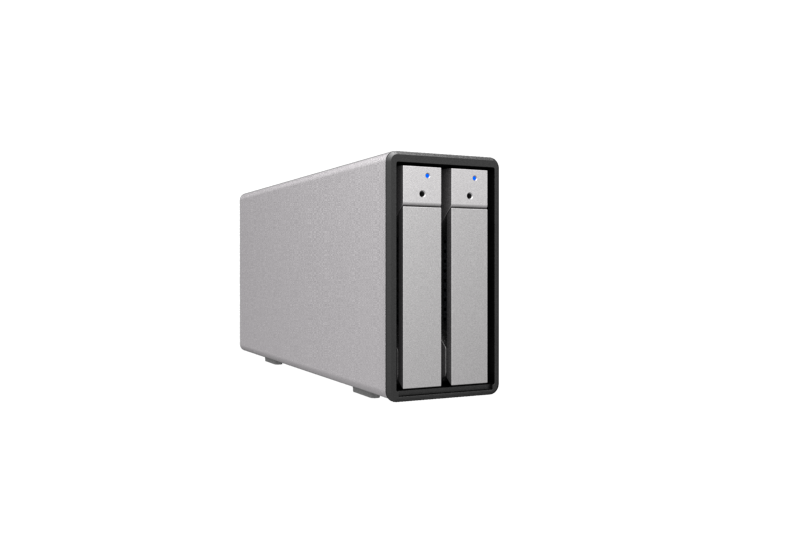 The new ST2-TB is equipped with RAID 0 storage mode, which enables user to attain up to 724MB/s read speed with ST2-TB's Thunderbolt transmission interface. Whether it is used for searching and editing photo galleries, or video editing and synthesis, it promises to deliver a smooth and easy operation. 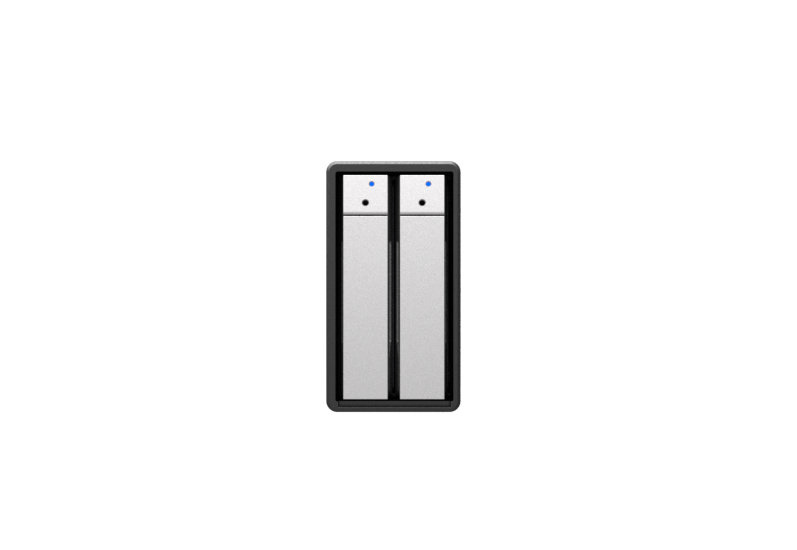 The ST2-TB has a sleek exterior design that’ll never go out of style when placed next to your Mac. It’s also built tough with three millimeter thickness aluminum to shield the enclosed drives durably and to dissipate the heat created by the drives faster for the drives to work comfortably. ST2-TB is made from highly recyclable aluminum and it is also free of many harmful toxins which commonly present in the desktop computer manufacturing process. 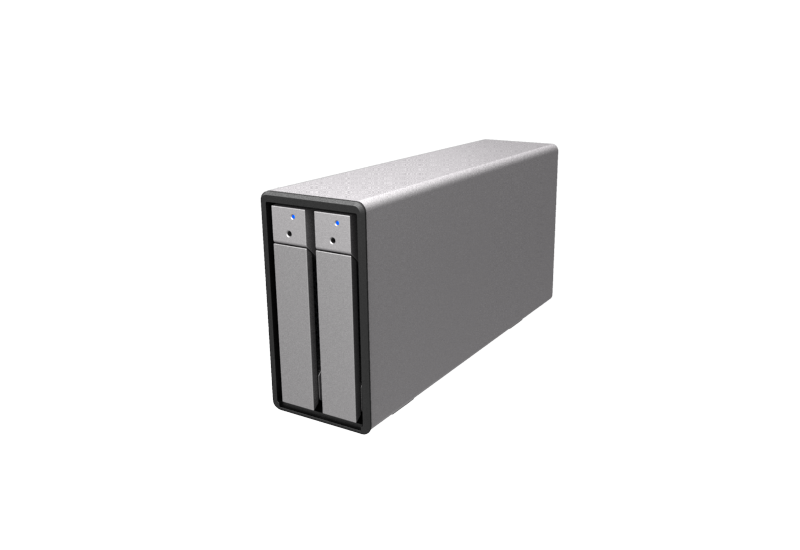 ST2 uses energy-efficient hardware components that work hand in hand with the Mac system to conserve power. It spins down hard drives and activates sleep mode after a period of inactivity. 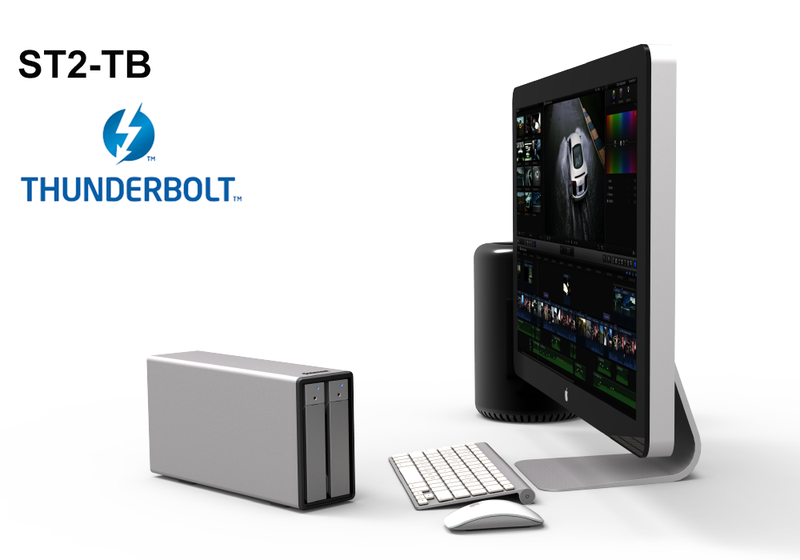 With two ultrafast Thunderbolt 2 ports, you can build a photo studio around iMac and ST2-TB. Or take them with you and import thousands of RAW images on location. Once your photos are on your computer, editing in Aperture is faster and more responsive than before. 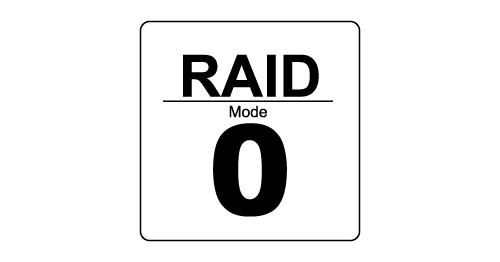 ST2-TB's RAID 0 mode lets you quickly browse large image libraries from external storage. So you have instant access to any photo in your library. 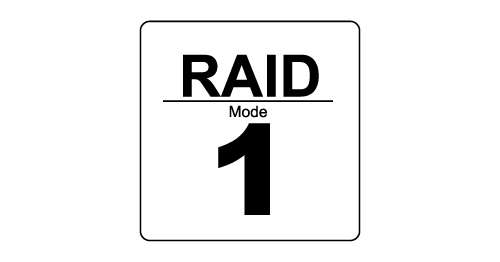 Q2RAID Modes and How to Switch between the RAID Modes?